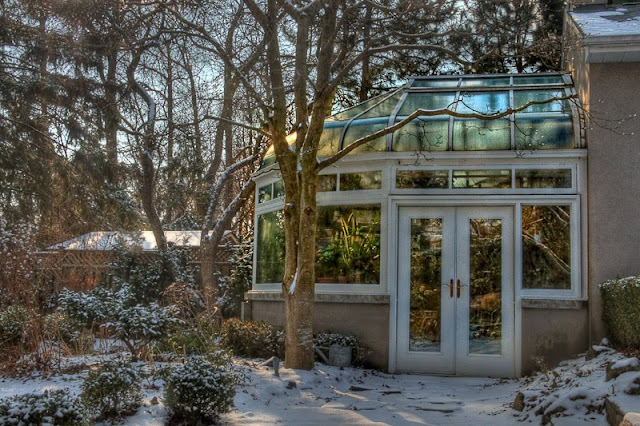 I have a conservatory greenhouse, originally built in 1915. It was dismantled, refurbished and moved to my place in 1993, thanks to Jamie Goad, the well-known Toronto architect. This is a beautiful structure in the Victorian tradition. I have recently started using HDR image processing, and the greenhouse images really benefit so that there's both a beautiful blue sunny sky and the details inside. Wow! It's beautiful green house. In winter, there is like a paradise. Great!! 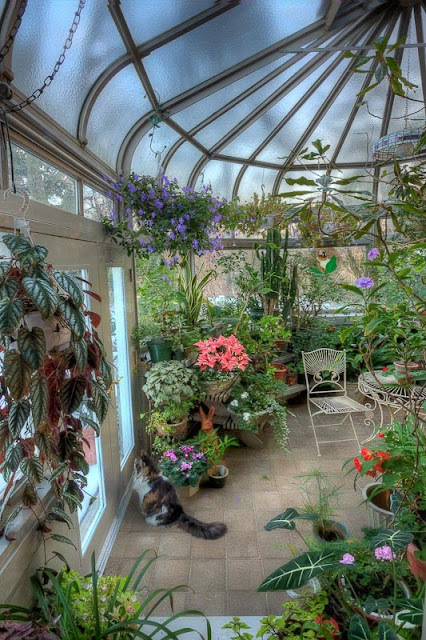 Such a beautiful conservatory, I really like this conservatory greenhouse.